Wild & Precious: Happy Birthday David!! 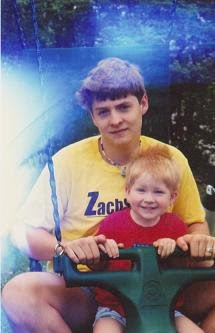 10 years ago.. this guy was just a little 15-year-old on a swing ... Now he is 25!! I love you David! Happy Birthday!